SENsational Consultancy enables equal opportunities for people with diff-abilities. They strive to solve the problems surrounding societal exclusion by exploring the positive impacts of awareness, acceptance, diversity and inclusion. Their Diversity and Inclusion Breakfast Forum last September 2018 brought professionals from various industries together for breakfast, sharing and networking. The event was kicked off with a meaningful simulation experience, where participants were given the opportunity to reflect on a journey without sight. Nigel Smith, Managing Director of Colliers International, then shared a few words on Collier's inclusive journey with SENsational, which has resulted in more people with diff-abilities being hired. 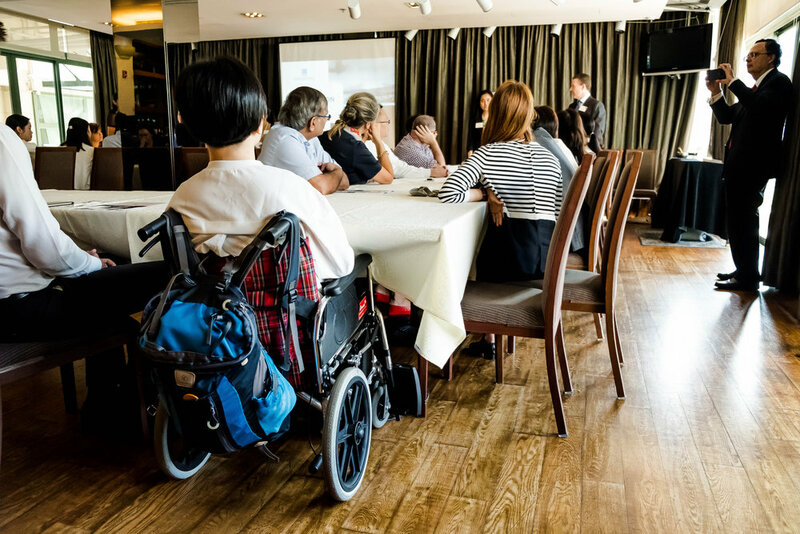 A presentation highlighting the business case for employing people with disabilities followed, which included some sharing from the attendees.